A recent article in The Telegraph suggested that dog owners who noticed peculiar behaviours in the older dogs might be shocked to learn that their dogs could be suffering from Pet Dementia. for example greeting their owner, then losing them and finding them again and greeting them again. Struggling to find their way around. Vets have put this condition down to poor lifestyles and poor diets. Dogs that are no longer taken for long walks or given poor diets are more likely to suffer from this. Prof. Peter Volk of the Royal Veterinary College says in an article: “I don’t think people realise how serious this problem is”. He goes onto to say that lack of activity, with owners less willing to take their dogs out for long walks, plus a diet of cheap pet food might be to blame for aggravating the onset of dementia". An increase in pet obesity can have similar health problems in animals just the same as in humans. Just as in dogs, people who are less active and have poor diets can find themselves with similar health issues leading to dementia. Prof Volk says in his article that the key to slowing down the onset of pet dementia is for owners to ensure their dogs get regular vigorous exercise and changing their dogs diet to a high quality food containing fatty acids. Due to a lack of understanding among many dog owners this problem is being missed. So please look out for any signs that your ageing pet might be exhibiting and get them down to the vets straight away. This was taken from an article in the Telegraph News. The 'Wolf' by L.David Mech. "The Wolf is a strong, sensitive, intelligent animal with a complex social behaviour and lasting family ties. It has a tendency to travel long distances and to seek out vulnerable big game animals that it can kill and eat with enough safety and efficiency to maintain its species. All the while the wolf is subject to any number of stresses from its environment, and must constantly contend with forces tending to suppress its numbers. With minor variations in this mode of living, the wolf has survived and evolved for millions of years in a variety of habitats throughout most of the northern hemisphere. But a new force has now suddenly arisen on the earth, a force that could quickly snuff out the unique flame of life that is the wolf's. This is the expansive force of the human population, with its aggressive tendency to occupy all of the planet in high densities and to overcome and destroy anything that might stand in its way. At present it is not evident whether this force will continue relentlessly or whether reason will prevail in time to check it and to prevent the destruction of all areas that still remain unpopulated. Whenever modern man has populated new regions in the northern hemisphere, one of the first actions has been to wipe out the wolf. In place of the real animal man has substituted myths, tales and legends. These might help him rationalise his actions, but they also symbolise his artificiality of his own life as opposed to the original life in the area. Thus the persistence of the wolf in certain regions today is a sensitive indicator of the naturalness of those areas. Many people now believe it is time to halt the destruction of the remaining natural wilderness. They feel it is healthy for humanity to preserve certain sections of the earth just they evolved. To those of us that share this view, the continued existence of the wolf in the future will be a measure of mans rationality." An interesting article on Harnesses I came across. Considering the Kennel Club have changed the rules about letting dogs wear harnesses during assessments these might be of interest. Walking is a vital role of dog ownership. Depending on its breed, it might be important to walk your dog several miles regularly in order to give him or her appropriate exercise and stimulation to avoid boredom and undesired activities. Again, it is essential for their health. Some individuals needs dog particularly as a motivation to walk more. You may also want to have a car ride with your dog. However, let’s face it. Some dogs are really challenging to walk. Some pups, for instance, are quite strong and aggressive they may pull so hard and may drag through town. Others will wander all over, neither here nor there, while some may completely refuse to cooperate altogether. If walking your faithful friend is a challenge, doing it becomes discouraging. In such a case, then, you need a quality dog harness to succeed. 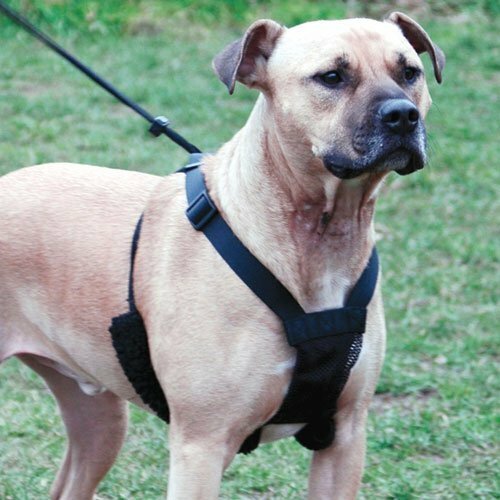 Forget about just attaching to your pet’s collar, which provides only poor control and may also injure the dog, harnesses provide greater and safe body coverage, featuring more supportive contact points eliminates the risk of injury while allowing you to control an uncooperative walker in an easier, effortless way. Here are 10 harnesses currently on the market for you to consider. This is a crash-tested dog car harness for keeping you and your dog safe when driving. It is designed as a safety harness not a converted dog walking harness. Its all-steel Nesting Buckle System ensures safety and strength. Featuring five adjustment points, it allows for a custom fit for nearly any dog, no matter their size, proportions. It has chest pad for reduced stress on the sternum and trachea and for dispersing kinetic energy through the dog’s chest. Designed with comfort and convenience in mind, this harness is also ideal for use as an everyday walking harness. The D-ring on featured on the front chest plate makes it a great no-pull harness. This is one among the most beautiful models of dog harnesses today. 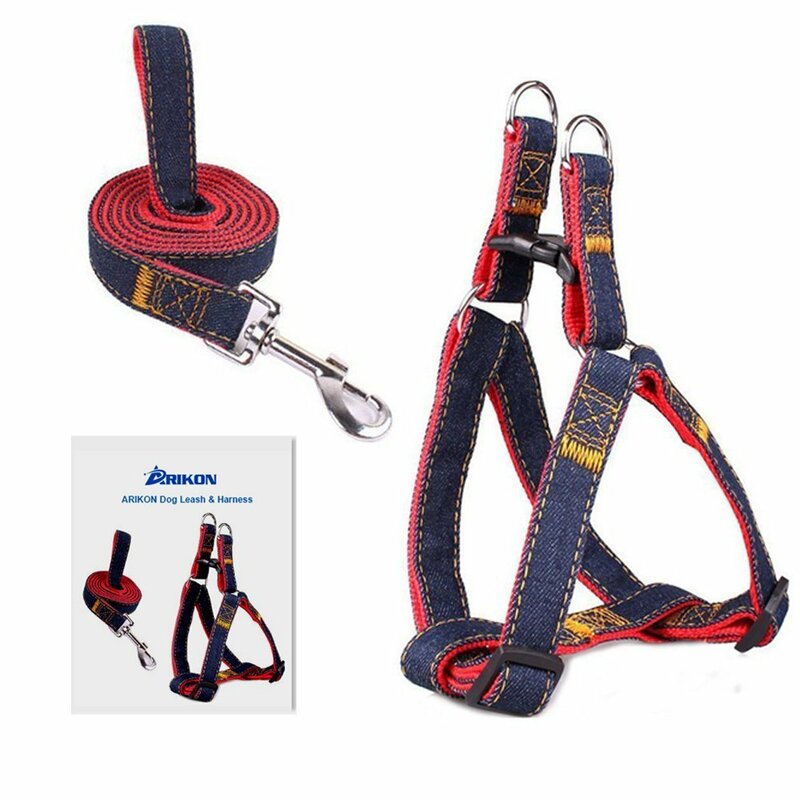 Arikon No-Pull Dog Leash Harness has one side made of premium-grade denim cloth and the other of quality nylon fabric, which makes it quite durable. It is fully adjustable for perfect fits on dogs. It comes with a quality leash made of similar denim. The two accessories are connected with metal clipping points that are so strong they can withstand any tugging, pulling, or other unwelcome antics of your dog. The package is attractively priced, though. 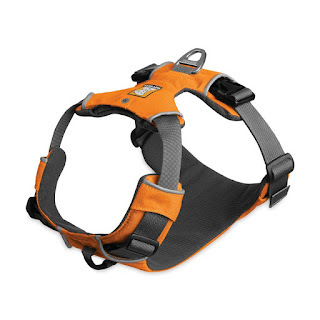 The Web Master Harness by Ruffwear is an excellent quality accessory compatible with any medium-size dogs. It features an admirable red currant theme which is quite visible. 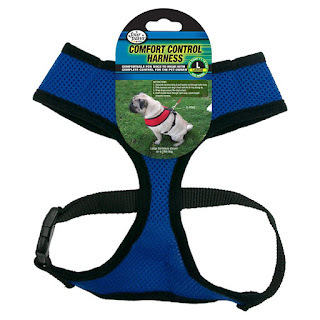 It is awesomely designed to provide excellent control on the dog while ensuring it optimum comfort. It features 5-point adjustable system that provides a custom and comfortable fit easily. Moreover, it is water resistant, and its chest rest is padded sufficiently to provide evenly distributed pressure and reduced tagging. It is impressively durable. This is a high quality mesh non-pulling harness by Sporn that provides optimum control, comfort, and style for any dog. It features elastic webbing which stretches laterally with the natural movement of your dog, while its special mesh design offers maximum comfort. All its components are made of premium-grade nylon plus nickel-plated hardware that reduces weathering. It fits 9 to 12-inch small dog neck sizes. 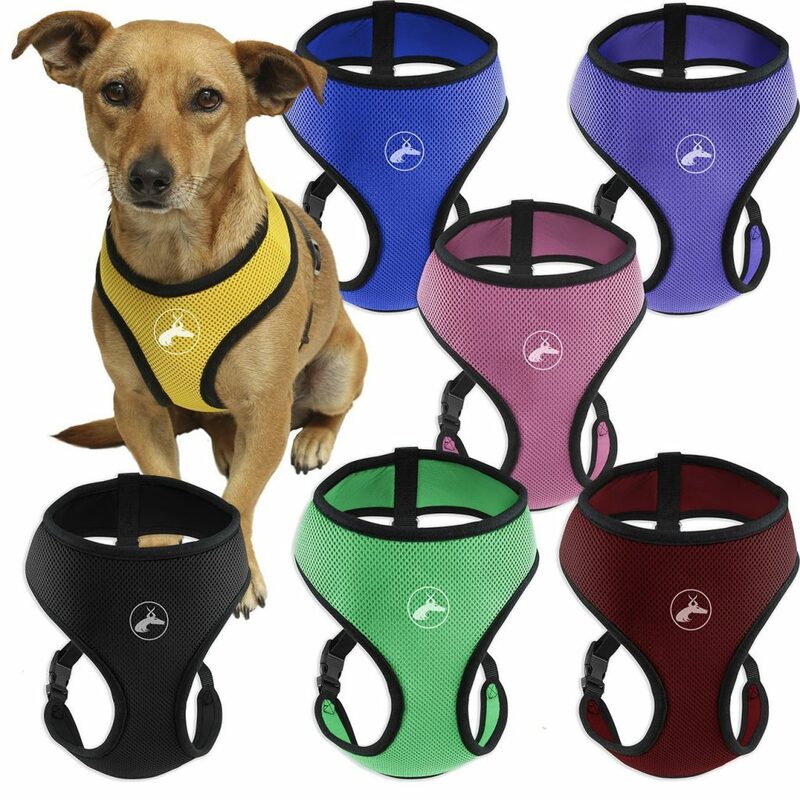 It is a reasonably priced but highly comfortable and also durable model of dog harness from Four Paws which makes it a lot easier controlling your dog. Made of quality neoprene mesh, it is breathable, lightweight, and very comfortable. Moreover, it is a non-irritant material, while the fitted quality nylon strap is easy to adjust for a perfect custom fit for your faithful buddy. The harness further has a superbly built back hook harness for providing full control and safety. It is available in 6 sizes—small and extra-small, medium, large and extra-large, and double extra-large—and comes in 5 brilliant colors. Also by Kurgo, this is an incredibly effective dog walking harness that eliminates pulling and choking mostly experienced with a collar. 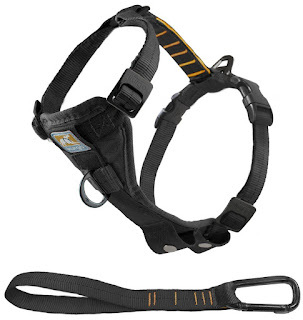 Tru-Fit Smart Harness features 5-point adjustment system for a custom fit. It has a halt ring featured at the chest plate, which makes it a great no-pull harness. A chest pad offers awesome comfort by alleviating pressure on the sternum and trachea, while it disperses kinetic energy across the dog’s chest. It is also ideal for car use as a dog restraint to avoid distracted driving. An included 10-inch lead is attachable to any harness via carabineer for training, or to any car seat belt. 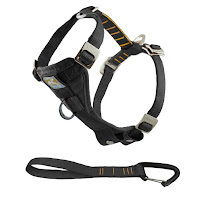 This is a popular harness designed for excellence in heavy duty use. On the back, it features an aluminum V-ring and in the chest area, a reinforced webbing for hooking a leash. It is made of soft material and has thick padding. Actually, it tends to clam pet’s nerves while dampening their innate aggression. Its 4-point adjustment system ensures complete control. Moreover, it is a modern harness model that delivers quite a statement of style. It further features an ID pocket for reducing any chances of your dog getting lost. It is indeed a worthy pick. This is a durable, number one pick among harnesses in control and comfort for dogs. The breathable, durable, lightweight, and well-padded material makes pets all happy whether being walked down the street on a leash, or even running and playing round the pack. Adjustable straps ensure a comfortable and custom fit for the pet while allowing you greater control on them. Coming in a variety of color and size options, you will select the favorite style for your buddy that will make yours the envy of other pets and pet owners around. 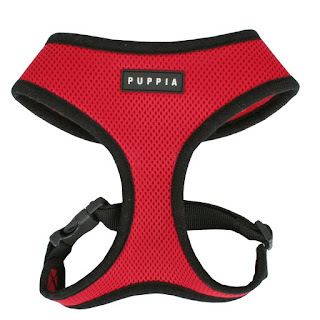 If affordability is an issue, the Puppia Soft Dog harness is an impressive option. It is, however, a model that delivers more than it promises. At the rear, it features a buckle for getting the harness firmly locked in its correct place. The front opening (neck size) is however not expandable, which is a non-issue as long as your dog has a smaller head than the neck. 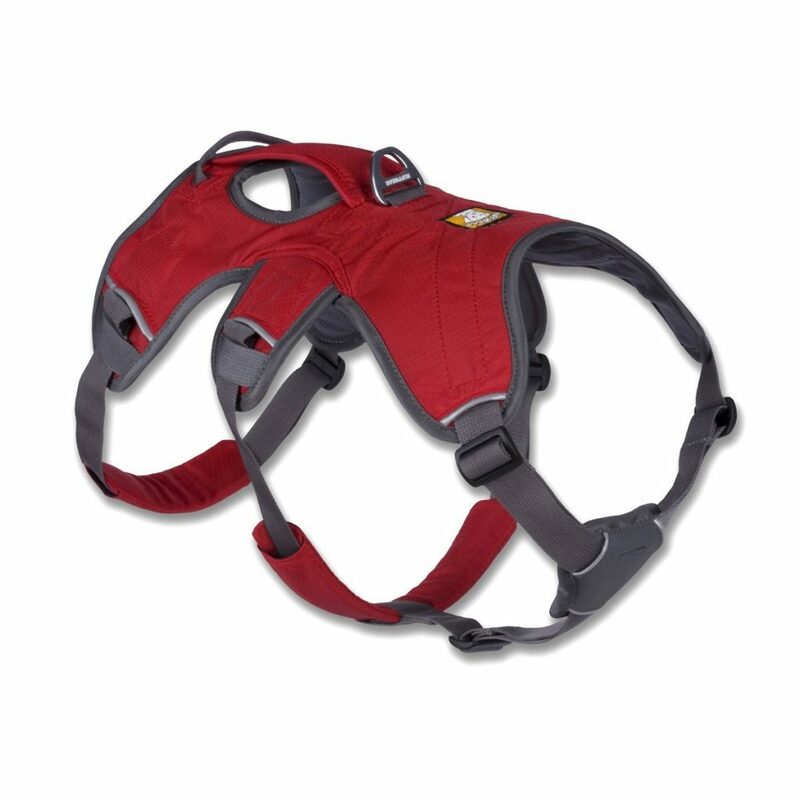 It is a strongly built harness with high quality materials, and has excellent stitching durable to last several years. 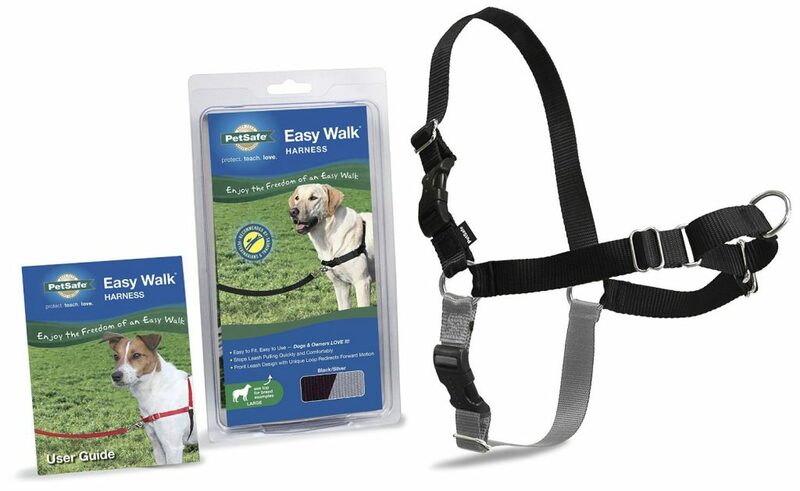 Topping the chart of the top 10 best dog harnesses in 2016 reviews, the Petite Easy Walk Harness from PetSafe gently and soothingly discourages your dear dog against pulling while on a walk on a leash. Comfortable to wear and simple to fit, this harness model makes dog walking absolutely enjoyable for both you and your dog. Its front-chest leash attachment allows you to effortlessly steer the dog to the side and easily redirect his or her attention toward you. It has a chest strap that rests comfortably across the pet’s chest instead of exerting pressure on their throat, ensuring no gagging or chocking. With petSafe’s Petite Easy Walk, you can comfortably take the lead and enjoy a free and hassle-free walk with your lovely dog. "NO" IS NOT AN OPTION! This article was written by Lonnie Olson for Dogs Naturally magazine in its July issue. Lonnie has been teaching people to train their dogs for 30 years in her successful Dogs Choice Training Centres.Lonnie founded Dog Scouts of America, a non-pro t educational and charitable organization that promotes responsible dog ownership and educates people about the human/animal bond. About that time, Kozi was rounding her third orbit around the bar stools and ran to the other bar stool, only to decide to climb up the rungs of the stool rather than run around it. All I could do is laugh. I was embarrassed because that’s right when the whole class was probably looking at us, after the instructor’s comment. I just wondered what would possess her to throw that into the routine? While I’ve never asked her to climb a bar stool (I don’t think she’s ever even seen one), I must have confused her somehow. When dogs don’t perform as instructed, they either don’t understand what’s being asked of them yet or they’re confused. This is where a lot of trainers would have thrown out that doggie swear word, NO! I don’t use this word in my training, because it doesn’t convey any information to the dog. As I was leaving class, I noticed a woman in the open obedience class trying to get her dog to do the broad jump. This is a jump consisting of four low boards spread out on the floor. The dog must execute the jump correctly to clear the span of the boards and not step between or even tick one of the boards with a toenail as he begins or finishes the jump. I noticed that the dog cleared the jump but ticked the first board on his way up and over. When the dog landed, the owner showed him a rancorous frown and shouted, NO! at him. I felt bad for them. What was the dog supposed to learn from this? He probably learned he shouldn’t have jumped. Training is a progression that should move you forward, perfecting what you’re trying to accomplish. Saying “no” doesn’t give any information to the dog about what he did wrong or what to do differently. Did “no” mean he didn’t jump high enough? Should he have tried to step on more boards? Should he have done a pirouette in mid air? I really hate the word “no” in dog training. It’s used as a punisher and it doesn’t help the dog know how to get it right. Dogs live their lives deciding what to do by what has gone rewarded or unrewarded. Let’s go back to the broad-jumping dog. When the dog completes the jump, all happy with himself, instead of bursting his bubble by letting him think you’re upset with him, just ignore that particular try. Don’t reward it. Keep quiet. Don’t show your disappointment. Don’t confuse him with vague words like "no." It's always better to use no response, rather than a NO! response! then, set your dog up for success and try again. Maybe go back to standing at the end of the jump boards, instead of to the side, where you have to place yourself for a competition. Maybe place a target of some sort at the end of the jump boards, to get the dog jumping straight and true, and reward all of the jumps that don’t involve toenails ticking the jumps. Work on one thing at a time. If you’re trying to communicate to the dog that you don’t want toenails to hit the jump boards, then don’t worry if he angles the jump a little and almost cuts the corner. You’ll have to clean that up separately. Remember that complex behaviors have a lot of stuff that can go wrong to botch up the complete performance. Just work on one of them at a time. By rewarding the successful attempts and ignoring the mistakes, you are communicating to the dog exactly what you want his performance to look like. Let’s look at my dog’s attempt to insert her own innovative move into the figure eight around the bar stools. This is a complex behavior. She’s working away from me. She has to move herself from one side of the room to the other and back again, going around the bar stools while I’m off to the side. If I’d said “no” to her, she might have thought I was negating her stellar performance on the other three-quarters of the behavior. I simply went over to her and showed her that, just like all the other times, she needed to go around the barstool. I had been working on four consecutive trips around the bar stools with no reward except praise. Possibly she thought that I was having her repeat it until she “gets it right” so she assumed she needed to do something else to complete the picture. When you repeat a behavior over and over like that, sometimes the dog starts throwing in stuff because she thinks you want something she’s not giving you. The dog just has to learn that sometimes they must repeat a behavior and get a delayed reward at the end. At the end of the evening, I was so glad that I have a relationship with my dog that is based on communication and understanding rather than confusion and fear of admonishment. I know that my dog will do everything in her power to do what I ask of her. If that isn’t happening, it’s due to a failing in my training or me not making things very clear to her. "Dogs Naturally: July 2016." At the start of each of my training courses I frequently tell my clients that their dogs dont love them and that all they are doing is satisfying their basic needs. The need for companionship, food, water, exercise and play. I tell them that if someone else was to come along and offer their dogs these things then their dogs wold go with them. I then usually make an example of this by calling one of their dogs over to me with the promise of a nice piece of cocktail sausage. It always works, what dog can refuse a nice piece of cocktail sausage. So I was intrigued to come across an article which suggested that dogs can indeed declare their love for their humans by displaying certain actions. This is a summary of the article and the points highlighted. So I thought I would share an article I read recently that was extracted from an interview by “60 minutes” Anderson Cooper and Brian Hare supposedly a well know Dog expert. In the interview they were discussing how dogs express love. According to Hare when a dog looks you in the eye he is “hugging you with his eyes”. He explains further that when a dog looks at you whilst the two of you are playing with one another, oxytocin is released. Its the same hormone that helps new mothers bond with their babies. A study found that when humans echo another yawn, its because their empathetic, like sympathy pains.Its impossible to measure if dogs are empathetic, but its possible that a dog yawning the same time as a human happens because the dog has bonded with the human. Most dog lovers know that pups are motivated by food. But according to Berns, once a dog eats all its food, his next action can signify whats most important to him besides eating. If after a meal he snuggles up to you there is definitely some puppy love going on. When you leave your dog to go out it will sometimes panic. this is usually down to separation anxiety. But according to Bern if your dog goes into his crate or is accepting of you leaving i.e, they are clam when you leave, it means your dog loves and trusts you and is confident you will come back to him. If a dog wants to sleep in your bed its a definite sign your dog loves you according to Hare. This is a sign he does not want to be separated from the pack. If your dog brings you his favourite toy it doesn’t just mean your dog wants to play. It also means he thinks of you as his pack leader. He wants to please you as the pack leader by offering you his most prized possession. There are a couple of other examples but you get the idea. I would like to offer an alternative reason for these actions above. When a dog looks into your eyes its because he is waiting to see whats happening next. Are you going to satisfy his basic needs. Food, Water, exercise, play or let me out to do my business. Its not love its because your dog wants something. dogs are great at mimicking and learn all sorts of things from living with humans. We teach them to give a paw, roll over, wash their faces, all sorts of neat tricks. Yawning is just another trick to them. Something they copy and wait for a reward. There is no scientific evidence to support yawning is empathetic in dogs and its just wishful thinking. My dog Star leans on me when I am at home. she does it because she wants me to get up off the sofa and play with her. She is demanding my attention in the most submissive way. After eating their meals my dogs come to me and give me lots of attention. Mostly because they have a routine in that when they’ve eaten they get out to go and do their business. There are two things a dog will do when you leave them to go out. Resign themselves to some alone time, go to their beds and lie down for a nap. Or they will panic and take it out on the furniture or other personal object that you stupidly left lying out. It has nothing to do with trust or love. Dogs either resign themselves to the fact that you are off to work or they don’t. Its a routine which they follow everyday, like all their other routines. I love this one where dogs show you how much they love you by wanting to sleep on your bed. Off course they want to sleep on your bed. Its warm because you’ve just left it and its cosy. If I had a choice I would stay in it and not get up and go to work. The dog doesn’t love you it loves your bed. Again our star brings me her favourite toy every night when I sit down to watch TV. In fact she brings me very toy lying around every night, one after another. She does this because she wants me to throw it for her and interact with her. She has been lying all day whilst I was at work and now she’s full of life and needing attention and play time. she doesn’t care whether its a toy, a shoe or a rag. anything just to get me to move and interact with her. In my opinion all too often we manifest our own feelings onto our dogs and confuse their actions. We want to imagine that they are showing us how much they love us when in fact what they are really doing is showing us how much they have adapted their basic wolf like skills over thousands of years to communicate with their human pack leaders of what it is they want or need at that moment. And it mostly boils down to satisfying basic needs. I love my dogs and whilst I satisfy their needs and show them love and attention they choose to stay and live with me, that is all. If someone else was to come along and offer them the same thing only better they would be off in a flash. We would leave home in the morning and play all day, as long as we were back when the street lights came on. No one was able to reach us all day. No cell phones. Unthinkable! We did not have Playstations, Nintendo 64, X-Boxes, no video games at all, no 99 channels on cable, video tape movies, surround sound, personal cell phones, personal computers, or Internet chat rooms. We had friends! We went outside and found them. We played dodge ball, and sometimes, the ball would really hurt. Some students weren't as smart as others, so they failed a grade and were held back to repeat the same grade. Horrors! Tests were not adjusted for any reason. This generation has produced some of the best risk-takers and problem solvers and inventors, ever. The past 50 years have been an explosion of innovation and new ideas. We had freedom, failure, success and responsibility, and we learned how to deal with it all. And you're one of them! Doesn't it kind of make you want to run through the house with scissors? By the stoneage some 14'000 years ago, man had developed close social interactions with dogs. Some of the benefits that dogs provided were recognised and exploited by those early hunter gatherers. In order to get these dogs to assist in guarding, hunting and killing prey, some form of training involving an 'agreement' or 'pact' between man and dog would have to have been made. This pact would take the form that says if you do this you will be rewarded by that. To think this is probably when positive reinforcement training first started out. Dogs as a species have been by mans side side for more than 14'000 years. It is not beyond reasoning to think that it was the dog who helped man conquer earth and make it into the world we have today. No other species has evolved quite in this way. Although the earliest archaeological records indicated the earliest remains of dogs at 14'000 years. Molecular genetical analyses has been carried out in the United States of America to suggest that the effort to domesticate dogs as a species from wolves could date back more than 100'000 years. Three wolf species have been identified as possible relatives to the domestic dog. The Indian wolf, The Chinese wolf and the Asiatic wolf. Behavioural Trainer, Photographer, Husband, Father and Grandfather who also loves Hiking and Kayaking. My second home is Berwick Upon Tweed, Northumberland, England.